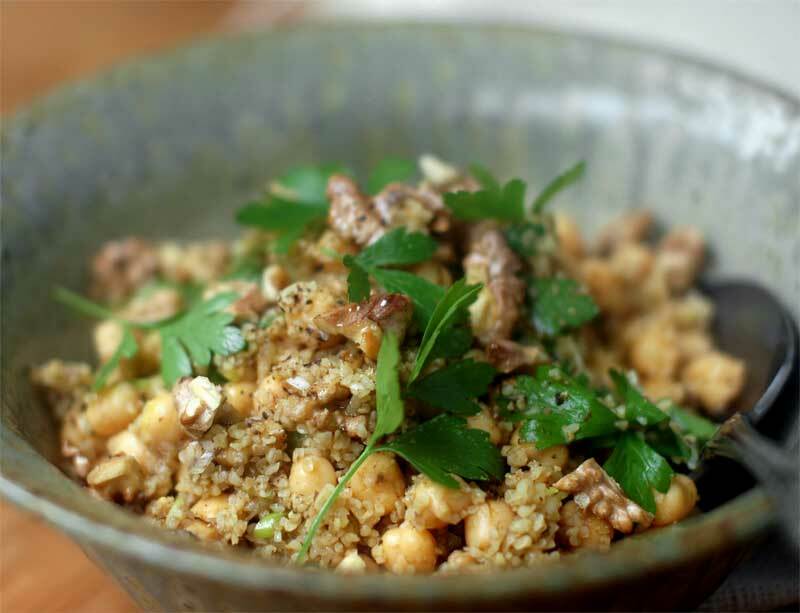 Bourghal, or bulgur, is a cereal made from whole wheat grain with a nutty flavour and pleasantly chewy texture. Most commonly eaten in tabbouleh it makes a great base for salads, pilafs and soups- especially Middle eastern style- and can be used as a substitute for rice and cous-cous. Bourghal only requires a good soak- no cooking- so this salad comes together with very little mess. For an easy dinner you might like to serve grilled lamb cutlets or mushrooms on top. 1. Combine bourghal with 2 cups cold water and sit for 1 – 2 hours, until soft. Rinse and drain well. 2. Combine lemon juice, molasses, oil, spices, lemon rind and, salt and pepper in a large mixing bowl. 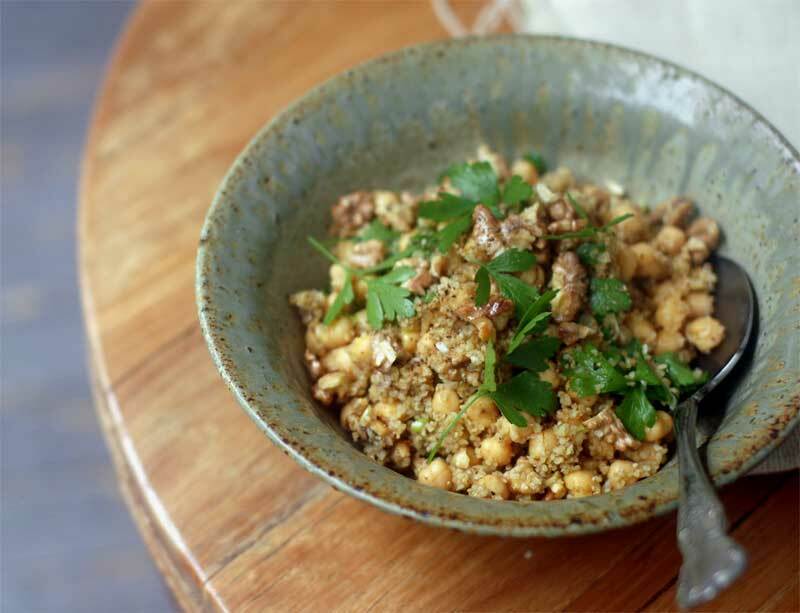 Add bourghal, chickpeas, shallots, walnuts and most of the parsley: toss to combine. Taste and adjust seasoning. Serve on a platter garnished with remaining parsley leaves and a drizzle of walnut oil.